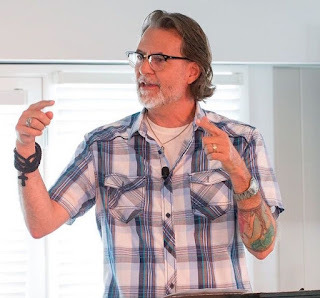 A few months ago I was giving a chapel talk to ACU Honors students about what I called "the poetry of the Christian life." 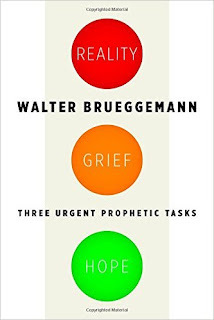 The ideas were taken from Walter Brueggemann's book Reality, Grief and Hope. I shared three things with the students. First, I said, when you look at the poetry of the prophets you see three different sorts of poetry, each with a different emotional tone. The prophets sing three different songs. The first song is prophetic rage and indignation. This is the cry, "Let justice roll down like a river!" The second song is grief and lamentation, an expression of sorrow in the face of suffering and loss. Sackcloth and ashes. The third song is a song of hope. This is the prophetic turn we see in Isaiah 40.1, where after all the anger and sorrow a song of hope breaks out, "Comfort, comfort my people." This is the poetry of Ezekiel's vision of the Valley of Dry Bones. Can these dead things live again? Yes they can. The second point I made to the students is that we all have a natural poetry. Some of these songs we find easier to sing than others. 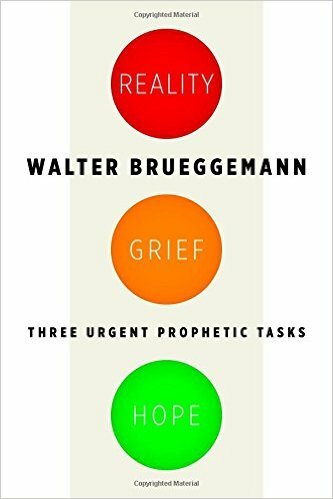 The prophets among us are wonderful at the poetry of rage and rebuke. Winter Christians like myself are good at grief, we're more sad than angry. And finally, there are the Summer Christians who are good at seeing hope where others do not. And what I emphasized here is that you need to embrace your natural poetry. Sing the song you were born to sing. But the final point I made was that, while you should embrace your natural song, you need to become skilled at singing all the songs. If you only sings songs of hope your faith will become trivial and superficial, disconnected from the injustice and suffering in the world. And if you only sing songs of anger or sorrow you'll burn yourself out or fail to offer encouragement to those who most need to hear it. I learned that out at the prison. I came into the prison singing my natural song--sorrow--but the men in the study wanted to hear some hopeful tunes. So I've learned to sing hopeful songs. It's not natural for me, but I'm getting better at it. So that was my message to the students. We all have a natural song. Embrace it and sing it out loud. But we also need to learn to sing all of the songs if our faith is to be vibrant and a blessing to others. Immature Christians tend to sing only one song, ever. Anger over and over. Or lament over and over. Or praise over and over. Mature Christians, by contrast, are always the best poets, skilled at singing all the songs and adapting the rhyme and meter of faith to the season and situation. 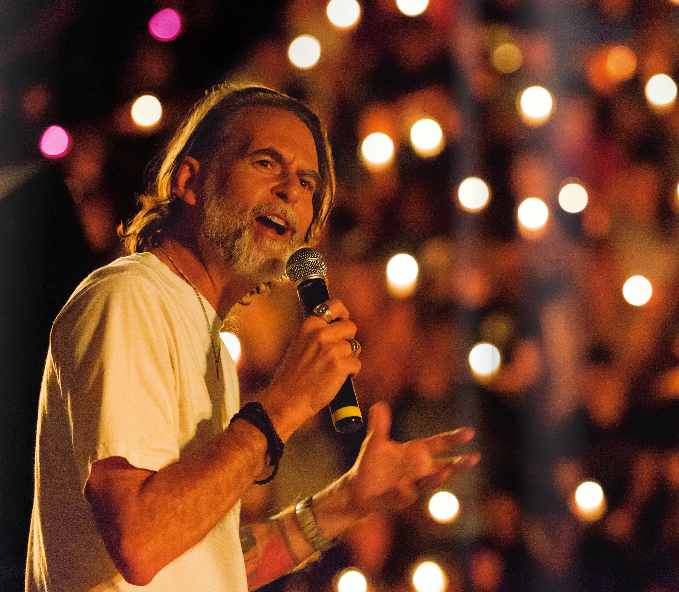 So if you want to be a better Christian, I told the students, work to become a better poet.